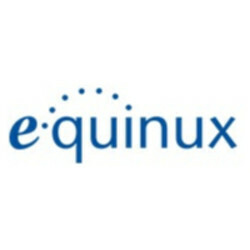 Want to see all the technologies used by equinux.com? equinux AG is one of the most successful European solution providers in the realm of Apple and mobile devices. equinux focuses on the clearly defined target groups; Consumer, Prosumer, Business-Users, and Enterprises. In order to build on this success, the groups are split into five business units; App controlled gadgets, Lifestyle, Productivity, Security, and Mobile Computing in Enterprises. equinux is headquartered in Munich, Germany and runs offices in Burlingame, CA and Berlin, Germany. We are a product driven company which stands for innovation, intelligent solutions, and quality. Our products are well known by the media and have been tested and reviewed with shining results by professionals and public consumers, resulting in many design prizes. Thanks to our long standing experience and expertise in technology, we are successfully able to grasp the newest trends in product ideas and market them worldwide. Award winning with rave reviews Two Apple Design Awards and numerous rave reviews from the press and media, help speak for the quality of our products. For a quick look at additional technographic info on equinux.com or any domain on the web, download our Chrome Extension. Check out our help article to see how Datanyze Insider can help you.